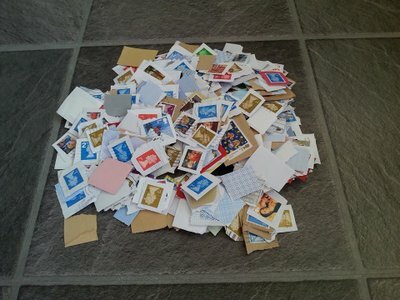 Our current dealer does not offer Freepost envelopes unfortunately. Please trim your stamps down to about 1cm around the stamps. Also, please do not be tempted to take out unfranked stamps for reuse, not only is it illegal(! ), stamp dealers are very aware of how many unfranked stamps there are statistically! Any stamps are OK - domestic, International, normal, plain stamps, or fancy - but only from the last three years please - no ancient stamps!